Batkid Begins is a 2015 documentary film which follows Miles Scott, a five-year-old cancer survivor, whose dream was to be “Batkid”, a sidekick of the eponymous comic book superhero Batman. 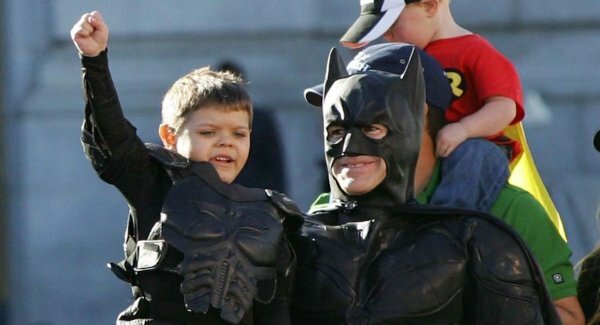 Once the request went out, thousands of volunteers, city officials, businesses and supporters rallied to turn San Francisco into “Gotham City” – the fictional home city of Batman – on November 15, 2013, for one of the largest and most elaborate Make-A-Wish projects ever staged. Runtime 87 minutes. Kids 8 and above may be unattended, those aged 7 and younger should be accompanied by a caregiver.